Here at Neurala we've heard a lot from clients and prospects about impediments to getting their AI solution deployed. One of the number one barriers to get AI solutions out of the lab and into the wild, whether in the first mile or last mile, is data. Managing that data (inconsistent ontologies causing a major headache), accelerating data preparation (how do I get the amount of data I need annotated with 1 data intern over a summer? ), data export (the next cycle of training requires you to combine classes) and more. That's why we're really excited to announce the latest release from Brain Builder. 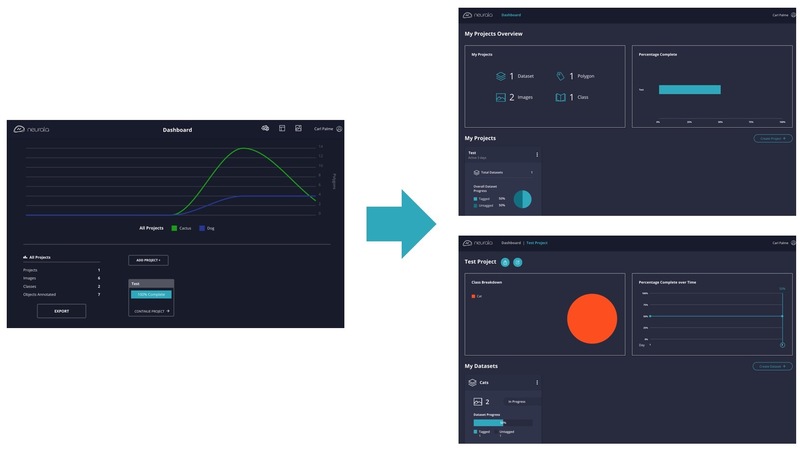 With features solving for those challenges — Data & Project Management, New Workspace Tooling, AI-Assisted Video Annotation, and improved Data Exports — we'll be just as thrilled as our clients to see an uptick in deployed solutions. So, whether you are managing an AI project or actively involved in the annotation process, we've got features for you! Keep reading if you're a project manager or Click Here! if you're actively involved in the annotation process. Project Management Improvements: Organizations, Roles and Permissions, Data set approvals. Data Export Improvements: Specify Image Width/Height, customize export mask palette, group/reorder classes, and JSON export with images. As a project manager or account administrator, you now have the capability to create different organizations within your company and add users & user types. This is helpful when you only want certain people to have access to certain data or want your users to have different access to parts of Brain Builder. 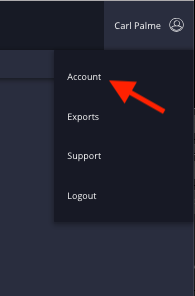 In order to gain access to this feature set, all you need is to be the primary account owner, click on the top-right corner of Brain Builder (next to your name), and click on "Account". Once in this panel, create an Organization and start assigning users to it. Each role has a corresponding dashboard with relevant project information and overviews. We took your feedback and ran with it! Now we have a better home page and better dashboards. The Dataset Panel changes slightly in order to help users keep better track of their assets while also providing them with relevant information. And lastly, we have modified the top panel so that users can better navigate between projects and tasks. We realize that creating good polygons is a time-consuming process and we are always looking to save you time. 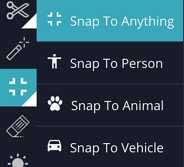 So, we are now introducing Snap-to-Fit so that all you have to do is draw a box around object of interest and we take care of the rest behind the scenes. If the polygon does need to be fixed, we also added two new tools that help you add to a polygon or remove from it. Gathering images AND annotating them can take a lot of time! Wouldn't it be nice if you could just get a video from your device, annotate the first frame, and have the polygons be automatically created for the rest of the video (or at least the part where the object of interest is present)? Well, with video annotation you can do just that! Also, in some cases the polygons may not be exactly what you wanted so we allow you to make changes and then automatically annotate again. This is all done through the Video Annotator tool and the Timeline Manager. When exporting, we want to make sure that the output meets your needs and you don't have to post-process the data. The new features should make your life easier by allowing you to adjust exported image width/height, customize the palette, create aliases, group/reorder classes, and export images with JSON. All you have to do is click to Export your annotated dataset and follow the instructions! There you have it! The proof really is in the pudding, so we welcome you to try out these efficiency and ease-of-use platform capabilities. Not yet a Brain Builder user? Sign up for a trial here. Freemium user but want to test out these Enterprise features? Contact us here.